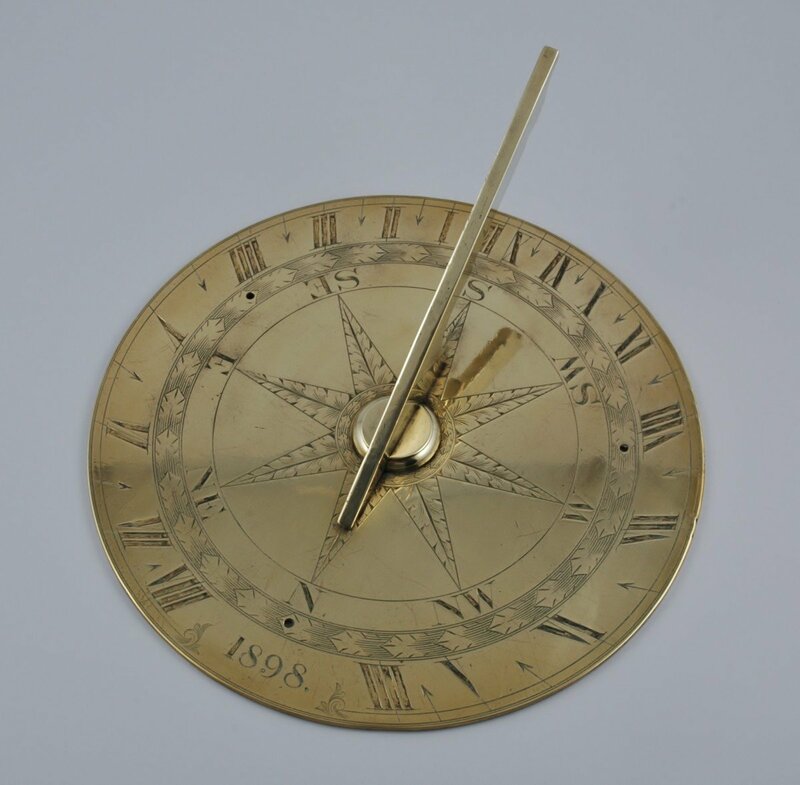 Magnificent English brass sundial dated 1898. 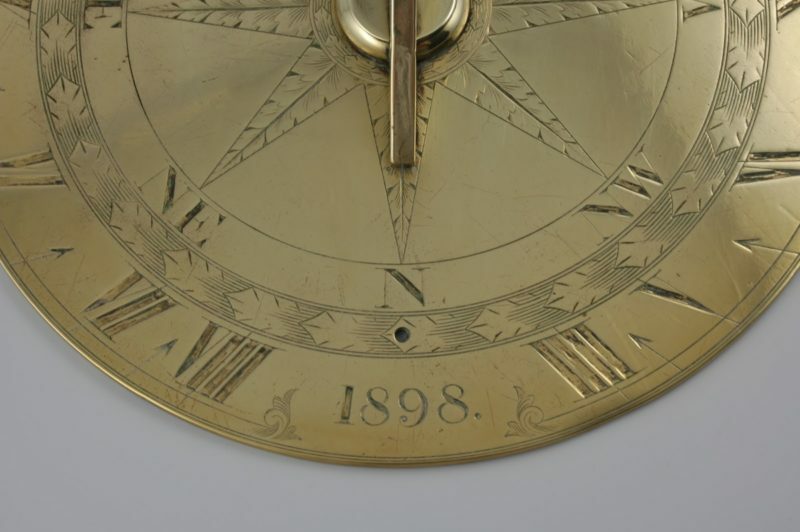 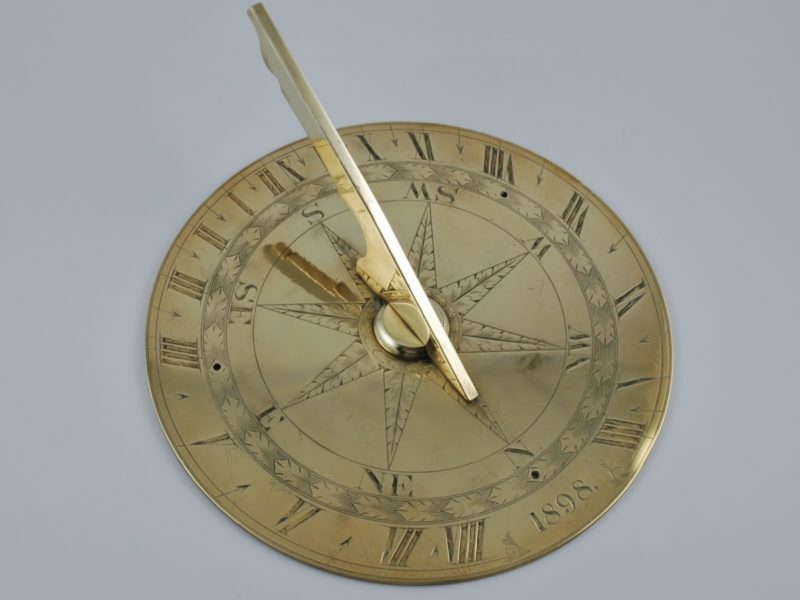 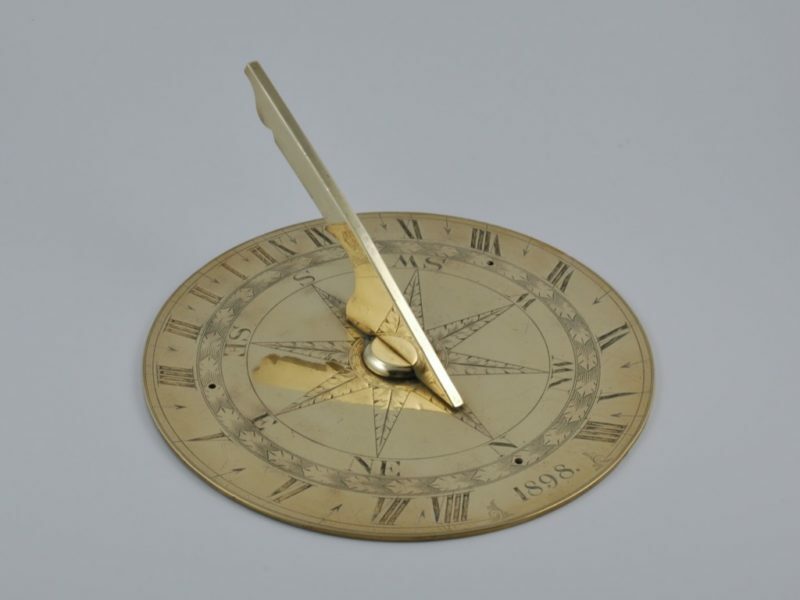 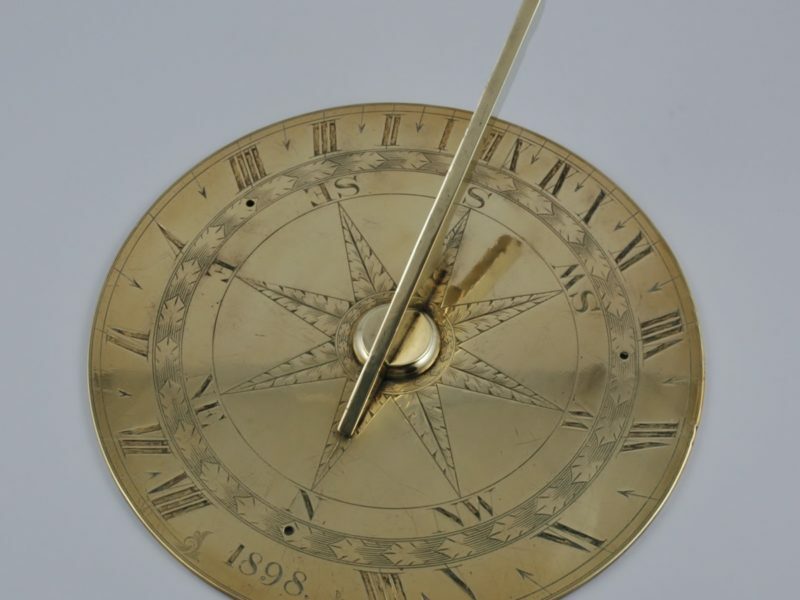 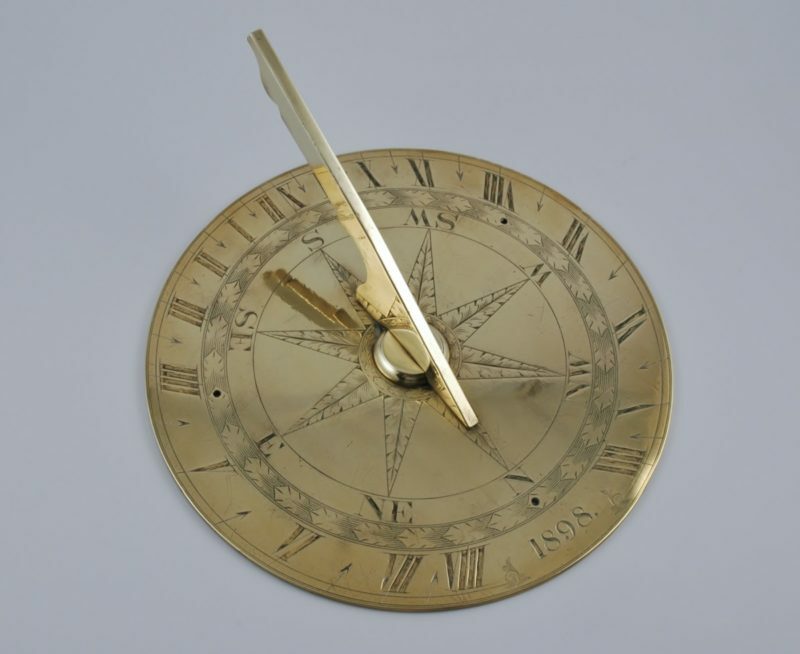 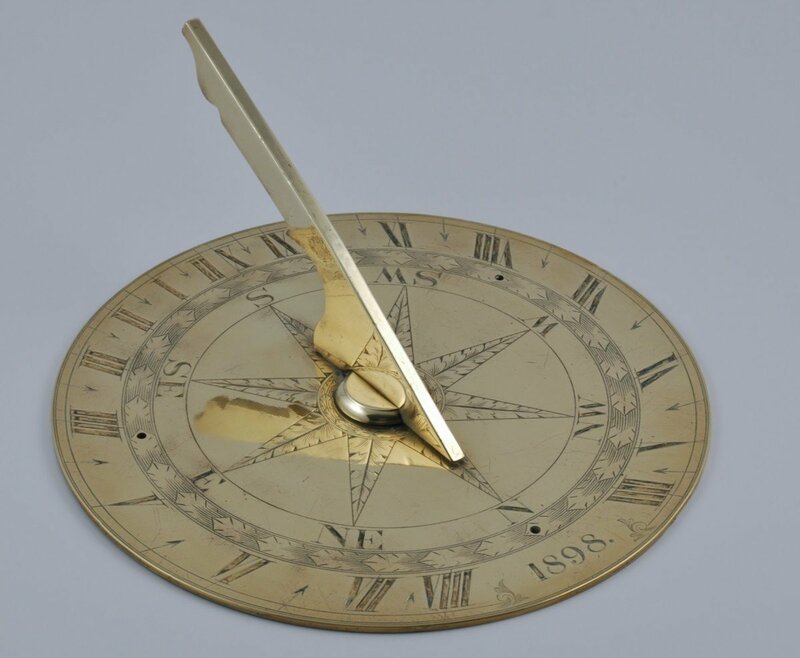 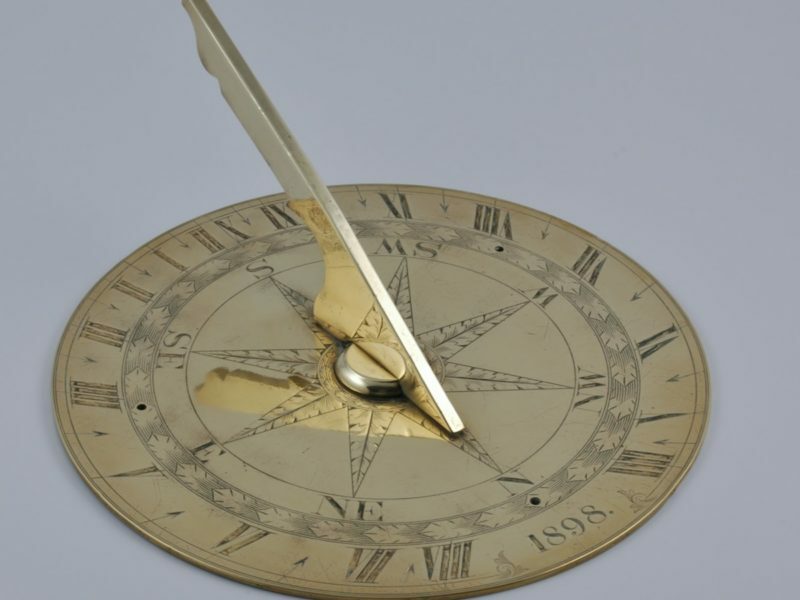 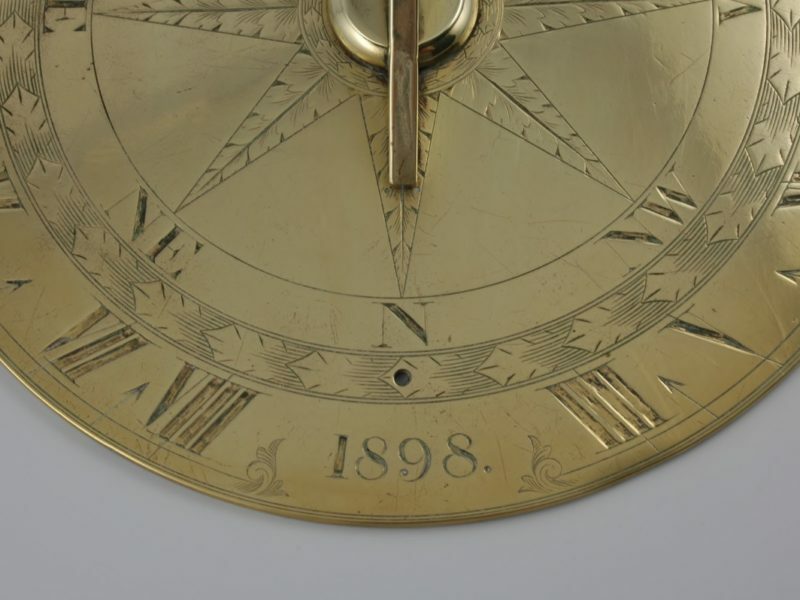 Magnificent English cast brass and hand engraved sundial dated 1898. 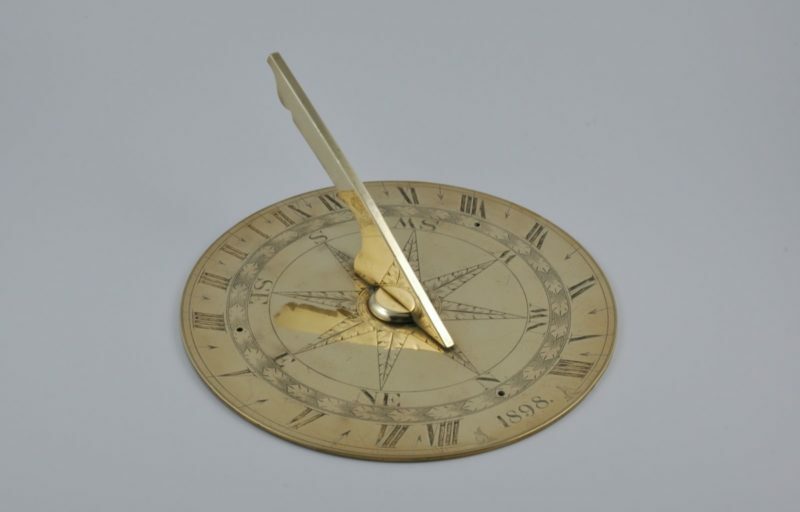 Dimensions: 13cm high by 30,4 cm diameter.